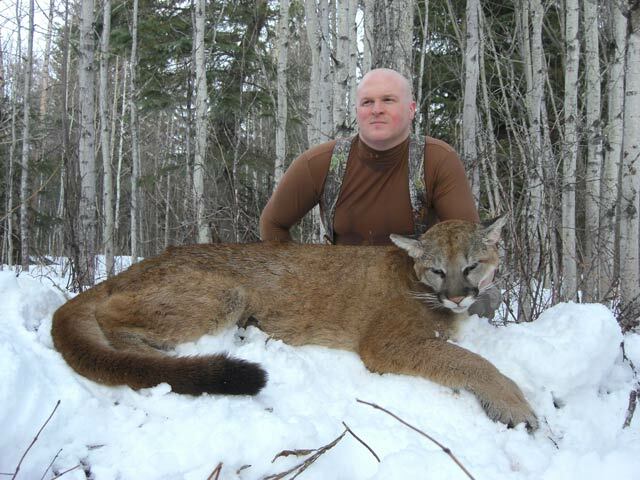 JAAKKO OJANPERA of Finland, came to Alberta, Canada and harvested this nice mountain lion in January. 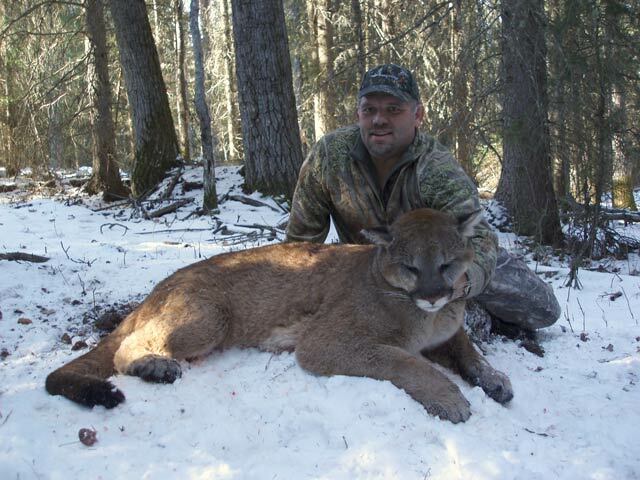 KEN BREZLIN of Elmer, New Jersey, retuned in February for his second try at a cougar and took this nice cat. 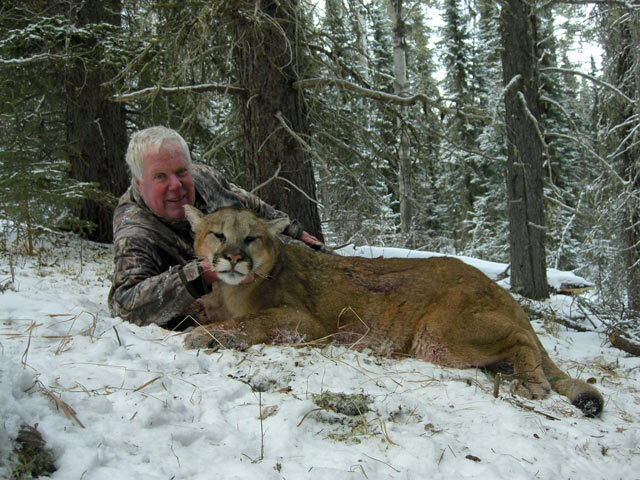 KEN STEERS of Texas, came to Alberta, for his cougar hunt, flew back home for a wedding and returned to take this great cat in February. 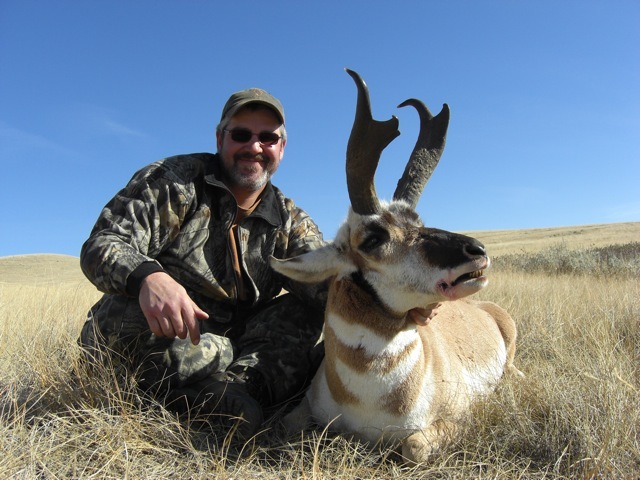 BRIAN CUMMINGS of Thomasburg, Ontario harvested this gorgeous, wide pronghorn buck on a beautiful September day. 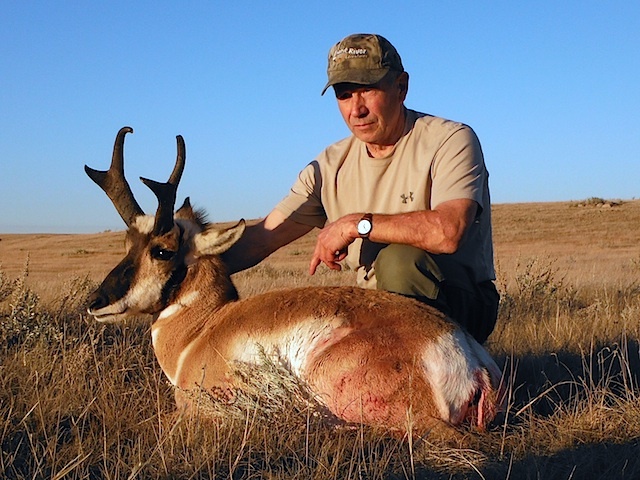 TOM ESSEX of Salem,Missouri, hunting open sights, took this super antelope buck with a 90 yard shot. His hunt was a little more challenging, but as you can see patience paid off. 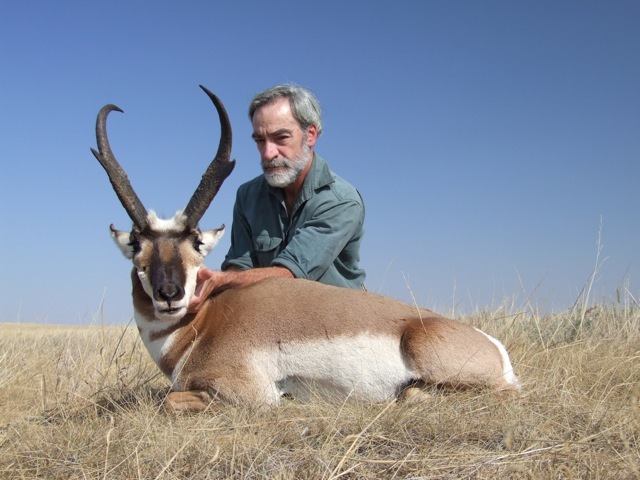 RON SCHWARTZ of Princeton, BC came on an antelope hunt in October with his wife Peggy. 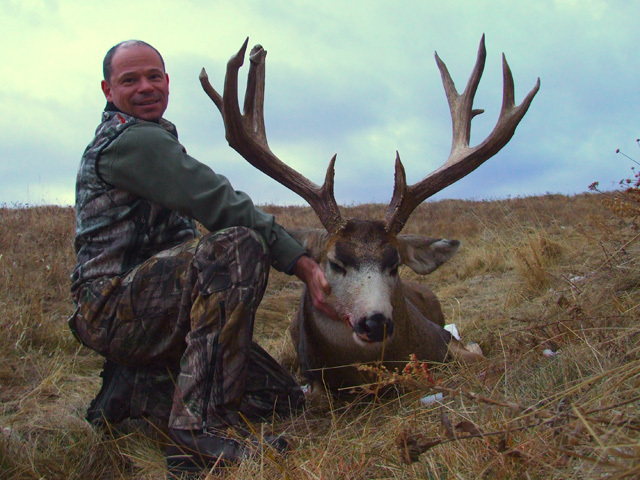 He made a great shot to take this nice buck. 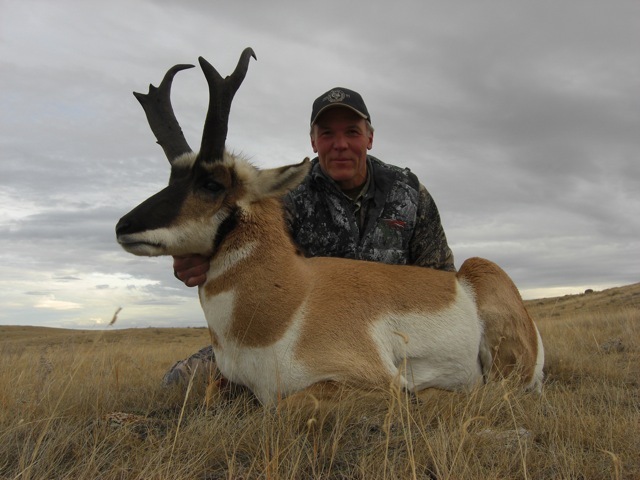 BILL WILSON of Missoula, Montana came up to Alberta in October hoping for another big antelope to add to his collection. He got this big, old, nubby character after watching him all day and waiting for him move to a place where a stalk was possible. 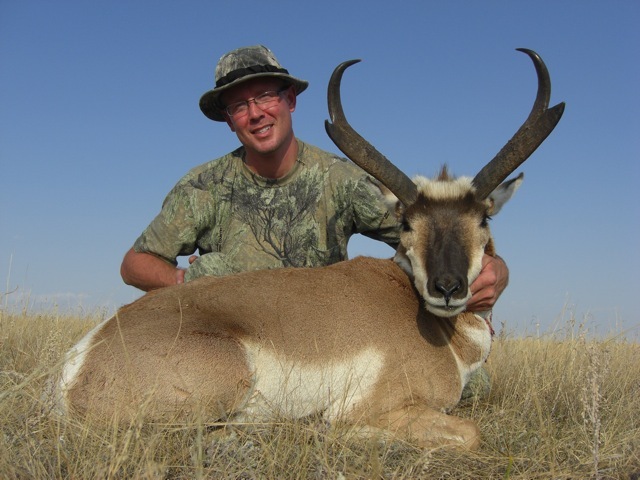 PETE KRYZANOWSKI of Terrace, BC, came to Alberta to add a pronghorn to his collection and took home this dandy, also in October. 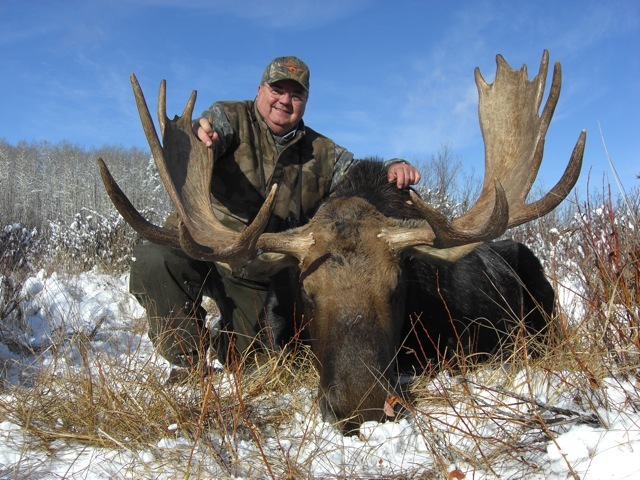 JAMES DAVIS of Longview, Texas headed to Alberta to hunt moose, where he took this nice bull after a fresh snowfall in October. JOHN HLAUDY of Meadville, Pennsylvania harvested this tremendous heavy antlered buck the first morning of his hunt. 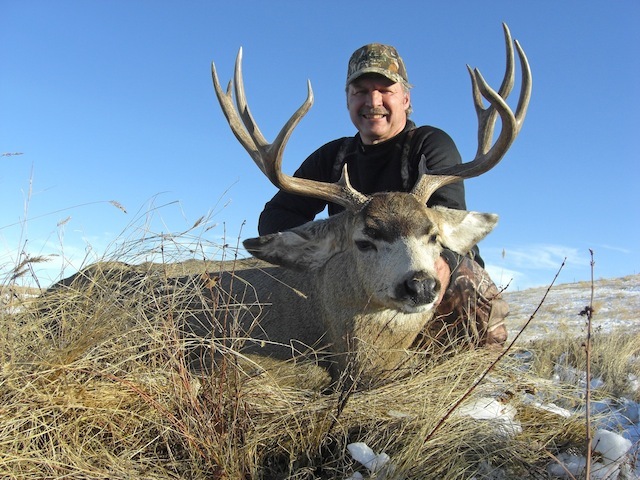 KEN KERR of Cayuga, Ontario took this nice muley buck on a gorgeous November day - after trying for a couple days to get within shooting distance. 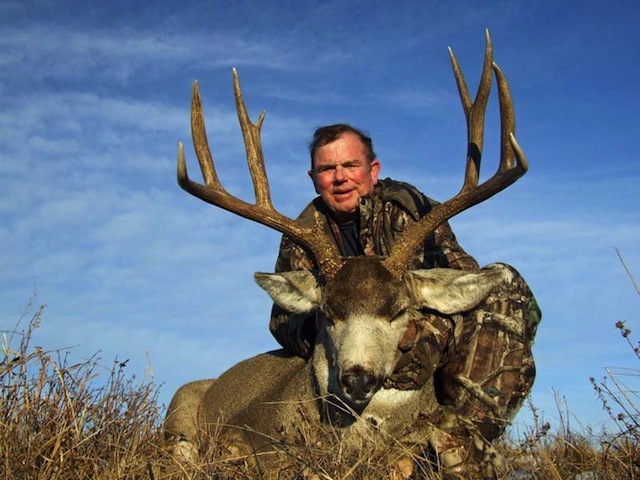 TOM LITTLE of Conroe, Texas was fortunate to look over a number of good bucks and took this great mule deer buck on the last day. We had a couple of days to do a little hunting of our own near the end of the season in November. 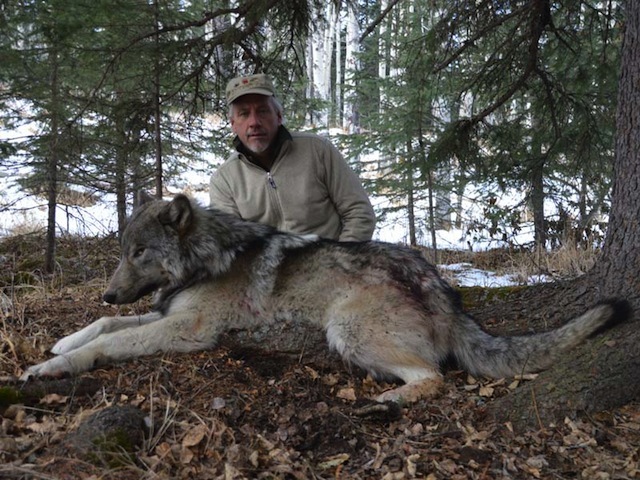 We were hoping to find one of the big whitetails we had been seeing in the area - but called this wolf in with the doe bleat instead! Thanks to everyone who joined us and made 2012 another memorable year for us. We are honored to share your experiences and successes with you! Carole Frei, Darren Daniel, Dale and Penny Silbernagel, John Gordon. Good hunting to all in 2013. We hope you can join us.